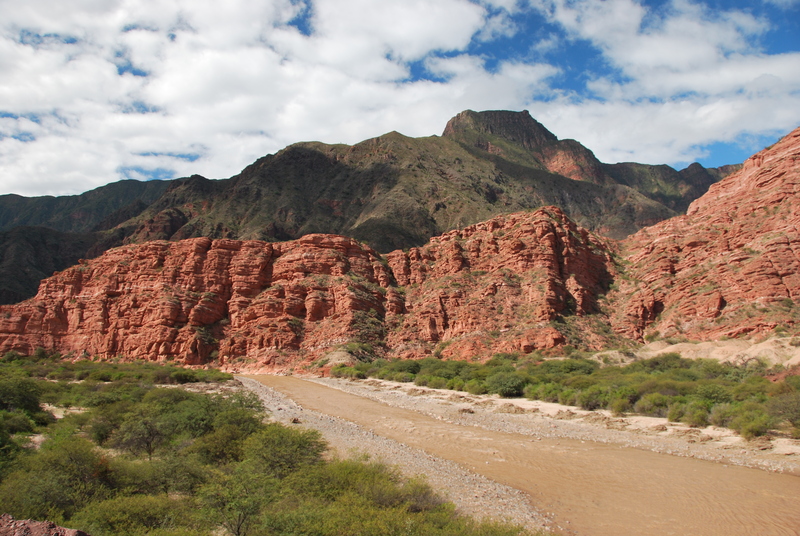 Arriving in Salta, we immediately saw the difference between Northern and Southern Argentina. 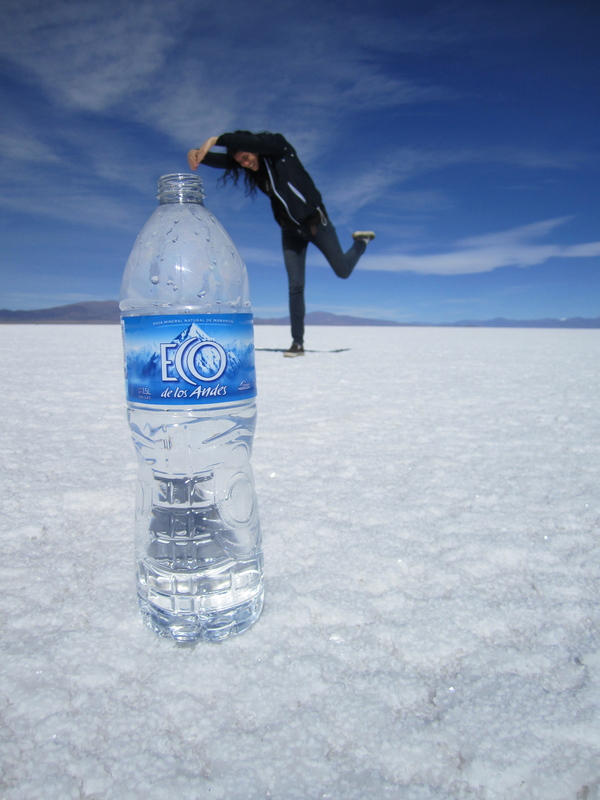 The North began to remind us more and more of Bolivia, a country we loved very much, and it was a little less like Europe. 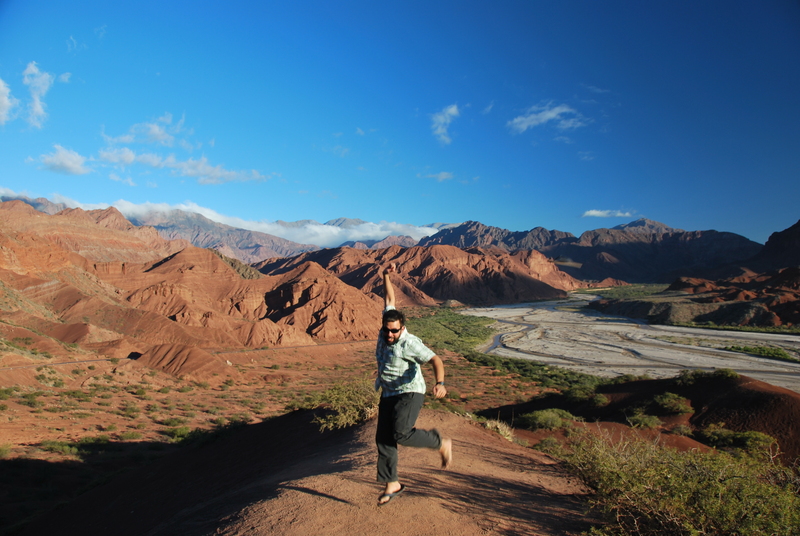 It is not that we do not like Europe, but certain parts of Argentina are missing that special Latin flair that we had come to enjoy so much over the last few months. 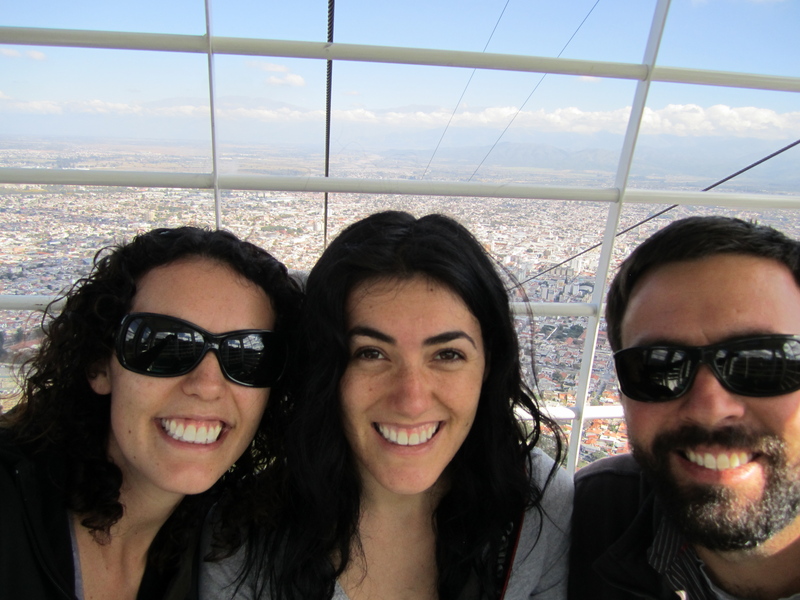 Our first stop in Salta was to the gondola which whisked us to the top of San Bernardo Mountain for great views of the surrounding area. The views were bountiful, and we could see that we had a lot to explore. 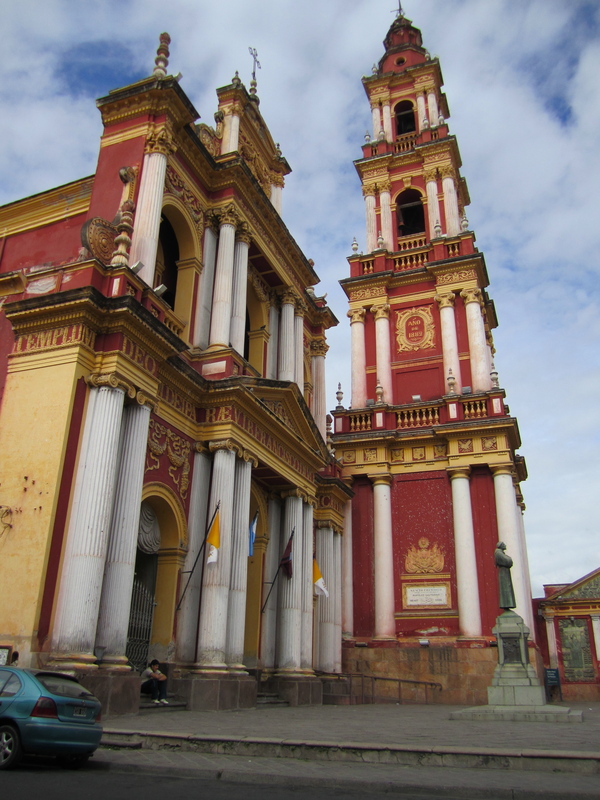 Salta is chockfull of colorful churches, interesting museums, and busy plazas. 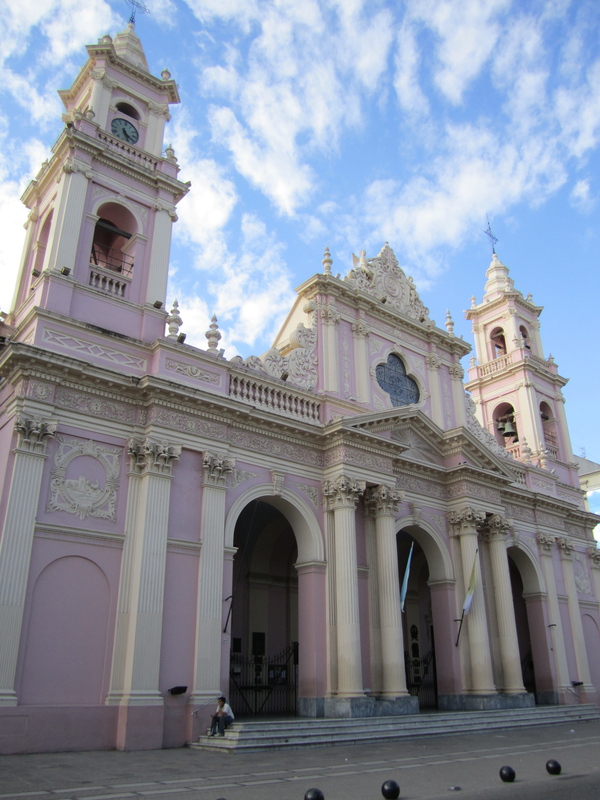 We visited two very bright churches while in Salta. There are tons of museums to visit, so we carefully selected two in order to broaden our knowledge in pre-Colombian history. Unfortunately, we were not permitted to take pictures in these two places, so you will have to be content with our descriptions. The Pajcha (Museo de Arte Etnico Americano) is a small private museum located in a converted house. The exhibits were okay, but the curator made the long walk and expensive entrance fee worth it. He was a funny little guy who buzzed around the small museum and gave each tourist some interesting facts “to think about until I return.” Just something about his mannerism and way he spoke, made it difficult not to giggle each time he left us to “ponder”. Still to this day, we find ourselves quoting his random lines cracking up each time, especially when we recall the many times he told Joe to “shut up,” even when Joe had said nothing. The MAAM museum (El Museo de Arqueología de Alta Montaña) was much more professional and impressive. It houses three mummies of Incan children who were sacrificed. In short, they gathered up three children, marched them up a 16,000 foot mountain, got them drunk, and interned them in a tomb with artifacts for the afterlife. With the weather being so cold on the top of the mountain, the mummies are very well-preserved (some even claim that they are the best preserved mummies in the world). The artifacts are beautiful, but seeing the perfectly preserved child mummy is somewhat haunting. Interesting side note: The museum claims the mountain was first summited in the 50’s by a team of Chilean mountain climbers, hooray Chile. We kind of think that the five, six and thirteen year old found on the summit deserve that recognition…. just a thought. 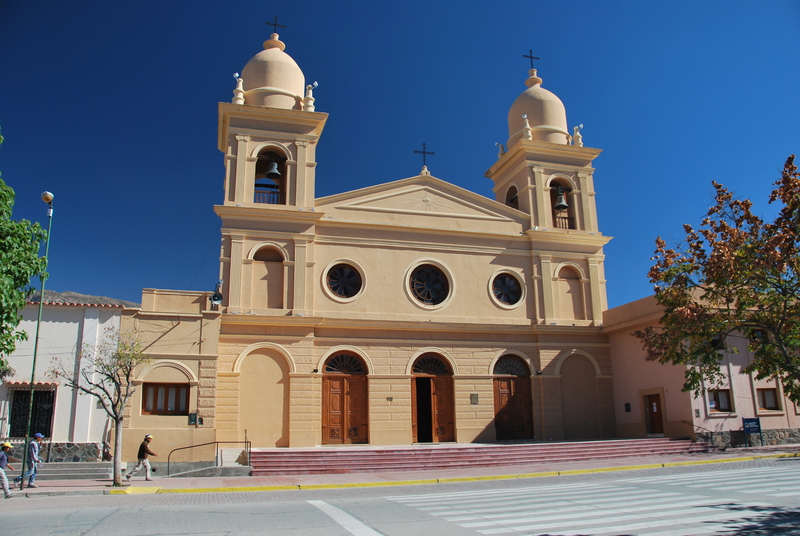 We have heard from many travelers that this area is best for renting a car to explore some of the smaller towns in the Salta area. With our own wheels, we were able to see some beautiful landscapes, similar to the American Southwest or Tupiza, Bolivia. We found this little known car rental shop called Hertz, and we picked out the fanciest car. After 10 months without driving, Kristen was quite nervous to hit the road on their own, but luckily Joe handled it all like a pro. 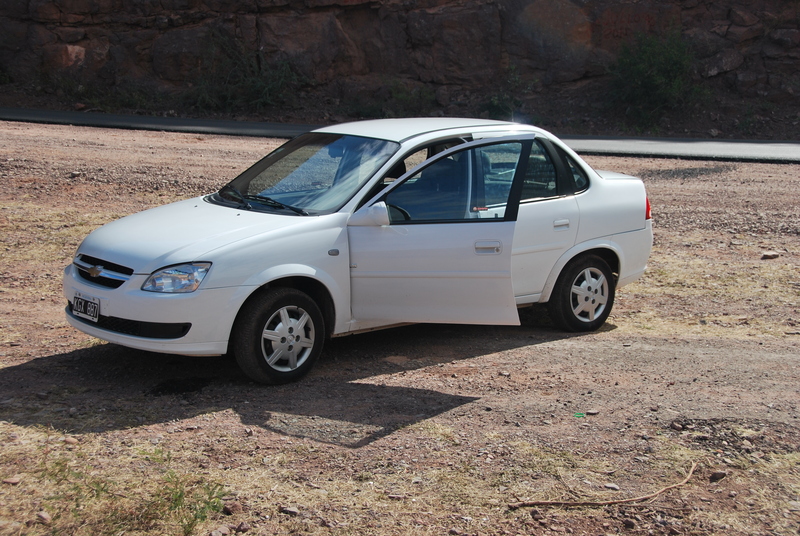 This bad boy has manual transmission, manual windows, well, manual everything, but it did the job perfectly during our five-day, 1,400 kilometer road trip. 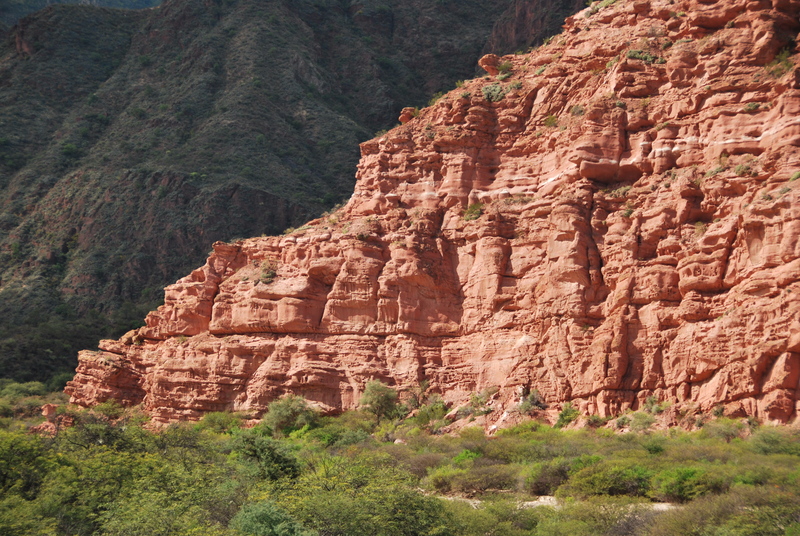 Our first destination was Cafayate, a nice little wine town a few hours south of Salta. The town is interesting enough, but the drive there was one of our highlights from the whole road trip. 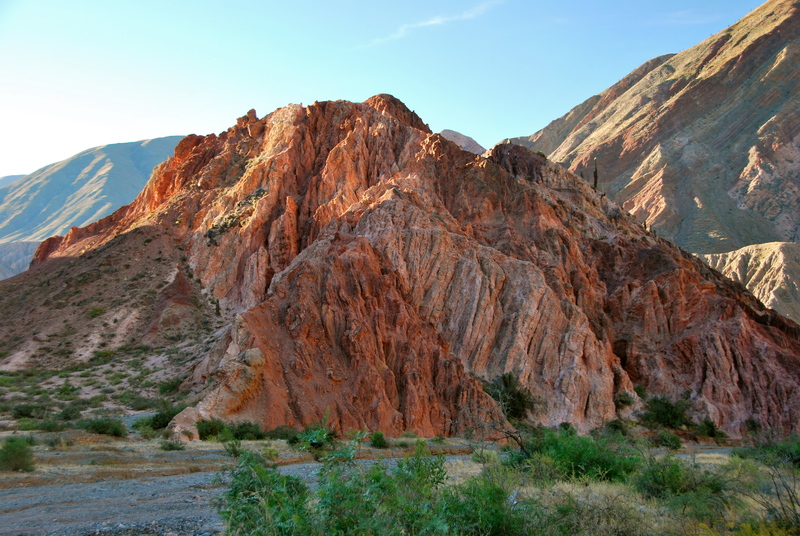 We drove from Salta to Cafayate through the Valles Calchaquíes. The constantly changing views caused us to pull over just about every hundred feet for pictures. Luckily, our road was paved. 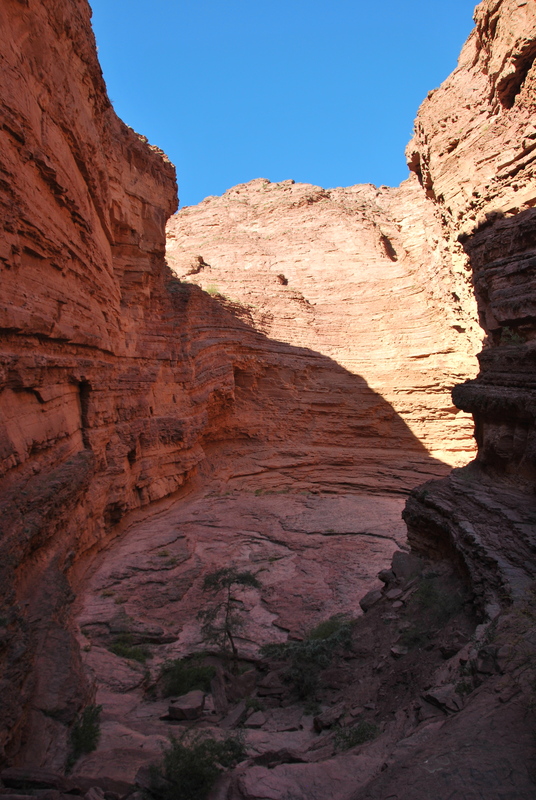 Along the way, we stopped at the Garganta del Diablo (The Devil’s Throat), a narrow canyon which has been deeply carved over time and then another canyon which has formed a natural amphitheater. 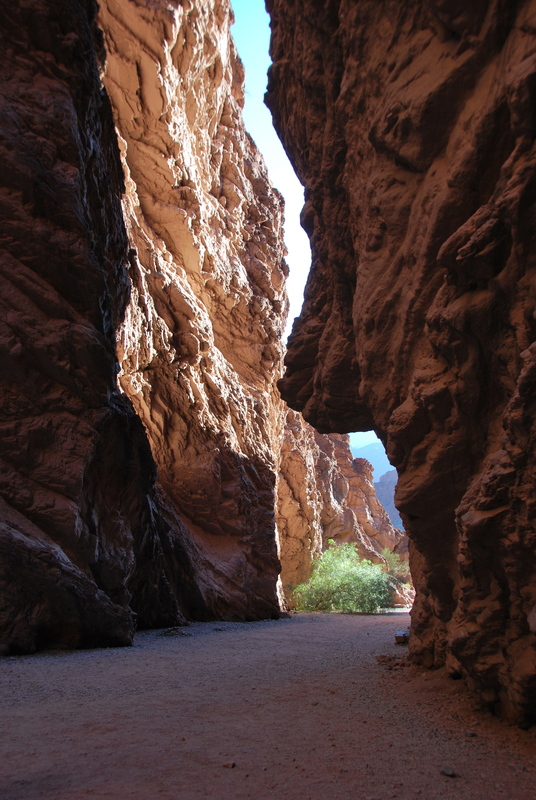 It is amazing what erosion can do. Bee with her new best friend. 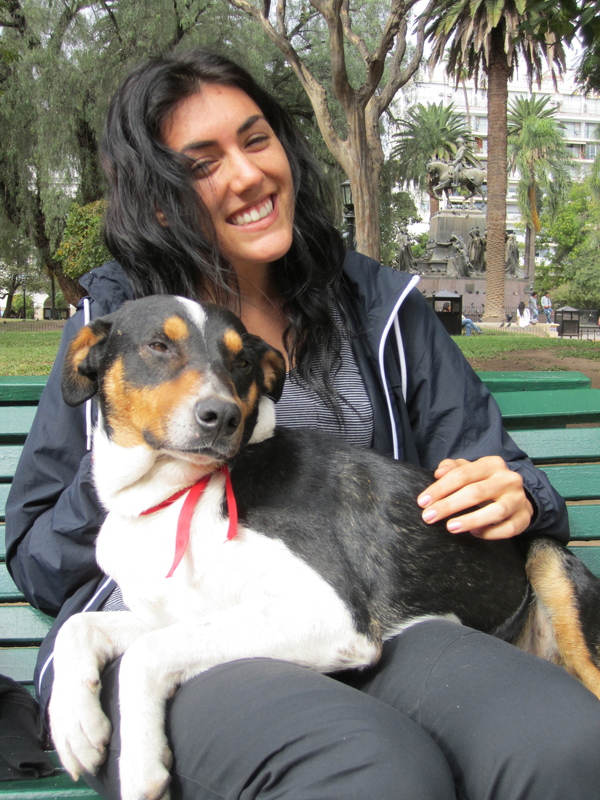 We are sure all the animals of Argentina will sorely miss Bridget, especially all the dogs that she showed a little love to. I bet all those Argentinian animals are probably hitting the streets and taking up a collection to get her a one-way ticket back in to their country. 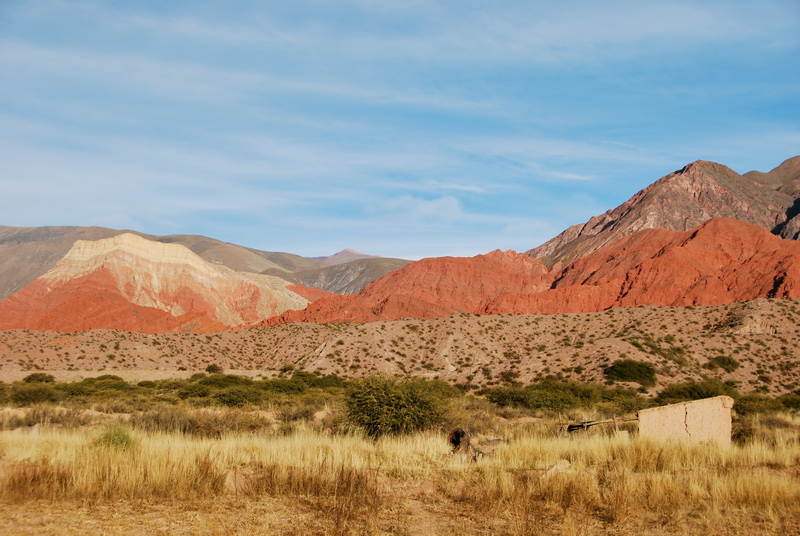 After the many gorgeous sights along the way, we were afraid that Cafayate would disappoint, but it is a peaceful small town built mostly out of adobe bricks. We loved the laid back square and beautiful church. 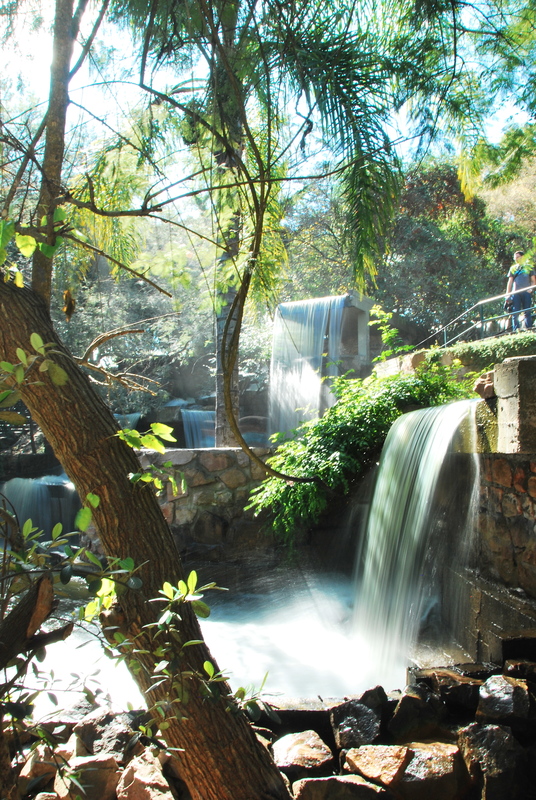 Not too much happens here except for wine tasting, hiking, and cruising the streets. Not a bad way to spend a few days. 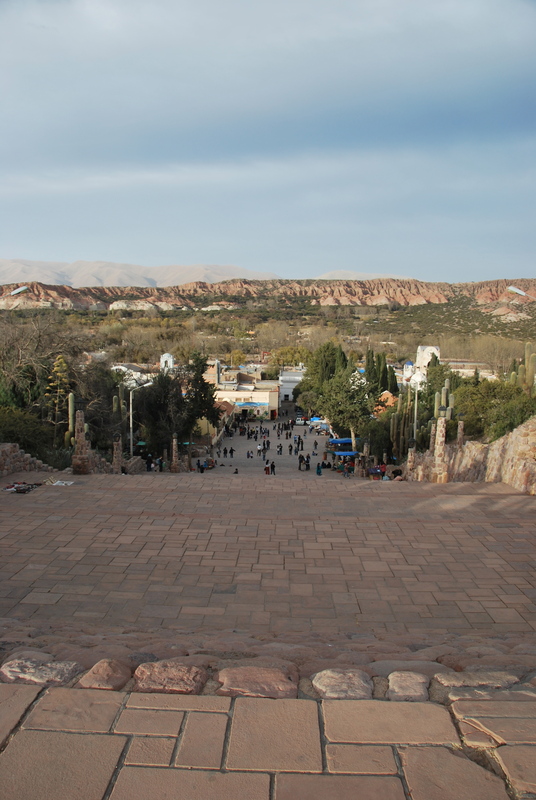 We stayed two nights in Cayafate, and during that time we hung around the town square and visited Quilmes, ruins that even predate the Incans. The ruins were impressive and we learned that this site is believed to once have held about 5,000 people. Just one small part of the ruins. Bee jumping at the ruins. The cacti in these parts are plentiful and quite striking. If you don’t believe us, we have about 1,000 pictures to prove it. Just let us know when you have the time for a little slideshow. Kris and Bee thinking about hugging a cactus. 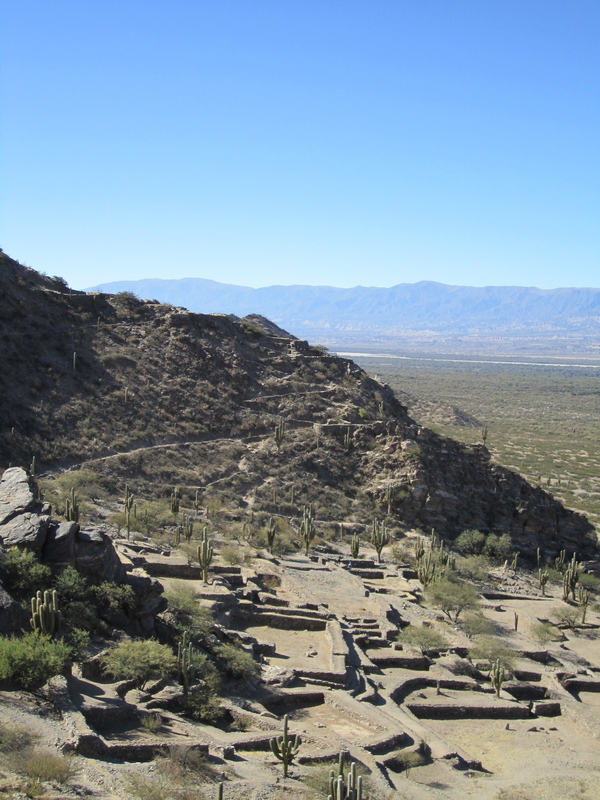 After enjoying all of Cafayate, we headed north toward the Jujuy area. 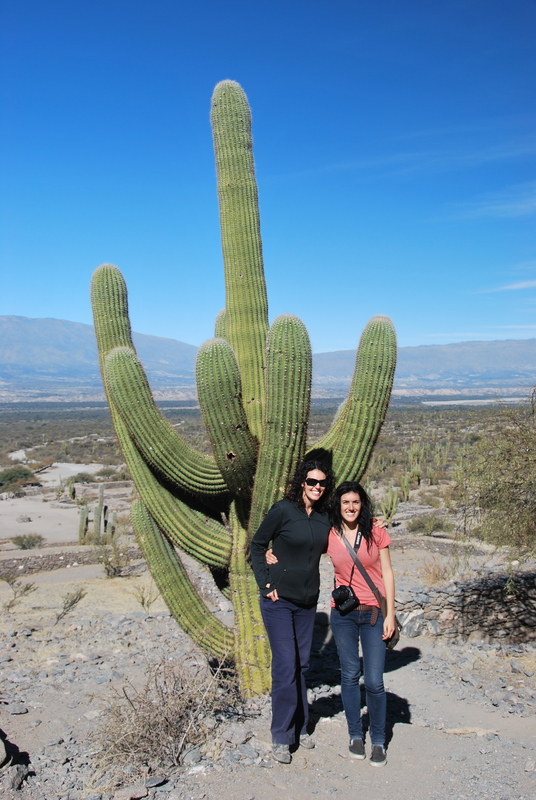 We had to pass through the Calchaquíes Valley again, and we took more pictures. Would you expect anything else? Joe lost his flip-flop during this jump. If you look very closely, you might be able to find it in the picture. 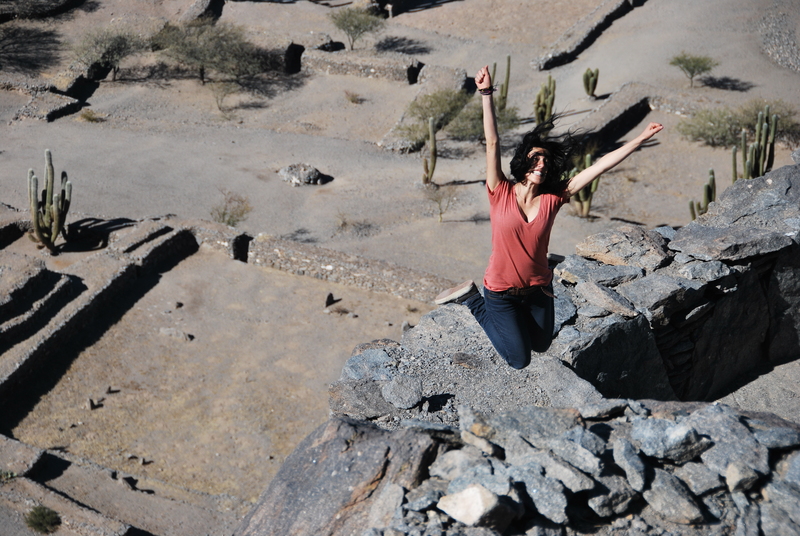 We stayed the night in the small town of Humamarca. 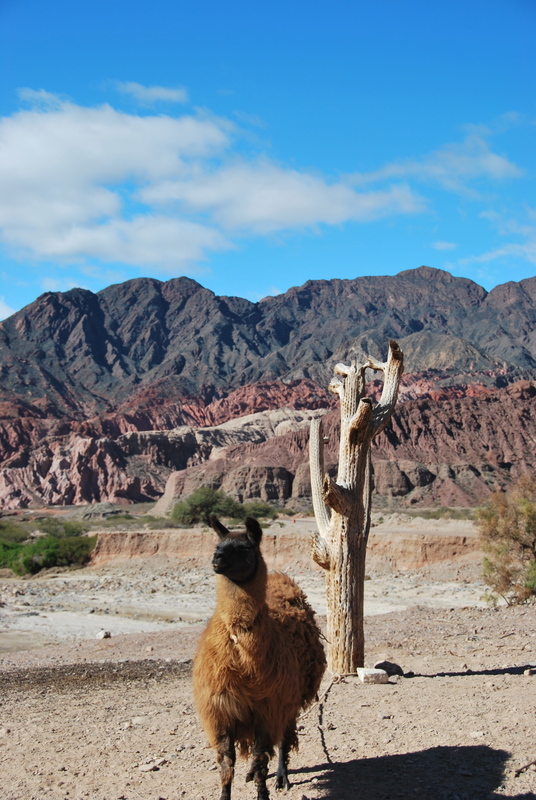 It, like Cafayate, is made mostly out of adobe bricks and had surprisingly local feel despite a strong tourism presence. The people are more indigenous, and they seem to hang on to their customs and traditions a bit more than the city folk have. 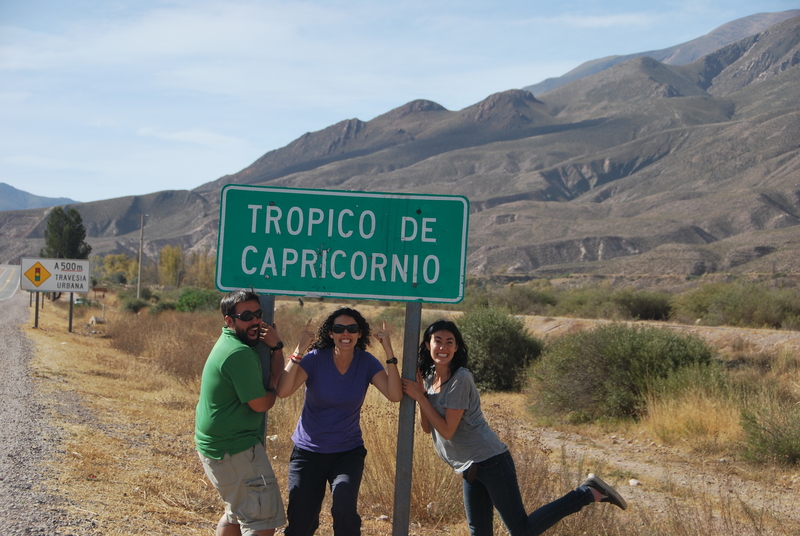 Along the drive to Humamarca we passed the Tropic of Capricorn, which indicated the lowest latitude the sun passes through. There is a huge sun-dial on the line, but it looks like it has seen better days. 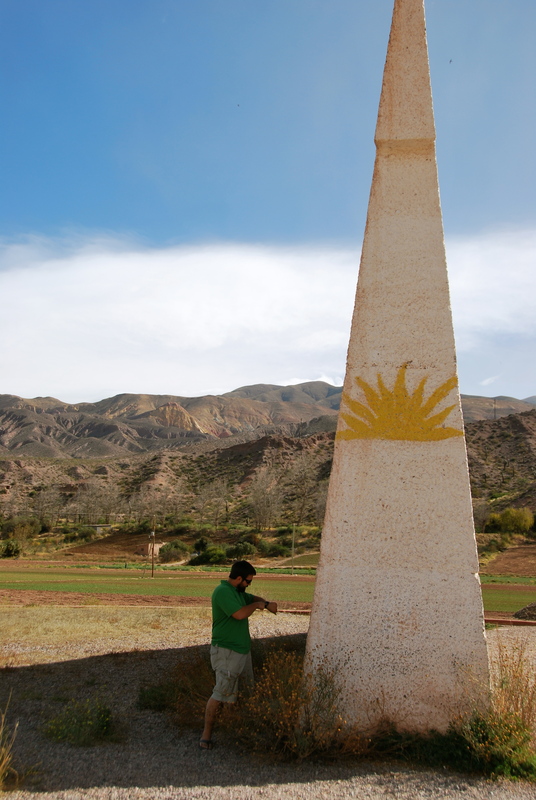 Joe trying to tell the time at the giant sun-dial. From Humamarca we made a quick stop in Tilcara to see where all the tourists were before heading off to Purmamarca. Purmamarca has some amazing colored hills and is also a good jumping point for the Salinas Grandes, Argentina’s largest salt flat. 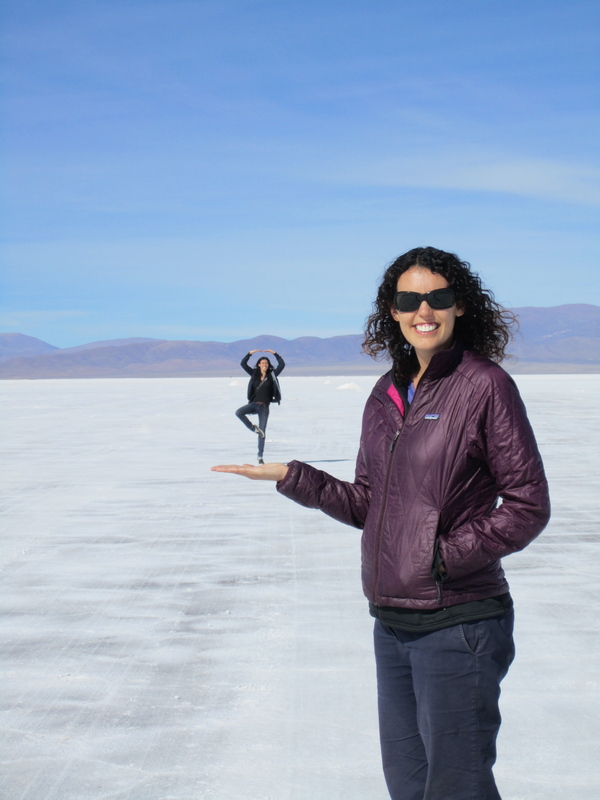 This salar is similar to the one in Bolivia, just smaller. We caught it during the dry period and had a good time walking around on the salt, Bridget even grabbed a softball size hunk of salt to take home. Wonder what the US customs official thought about that. 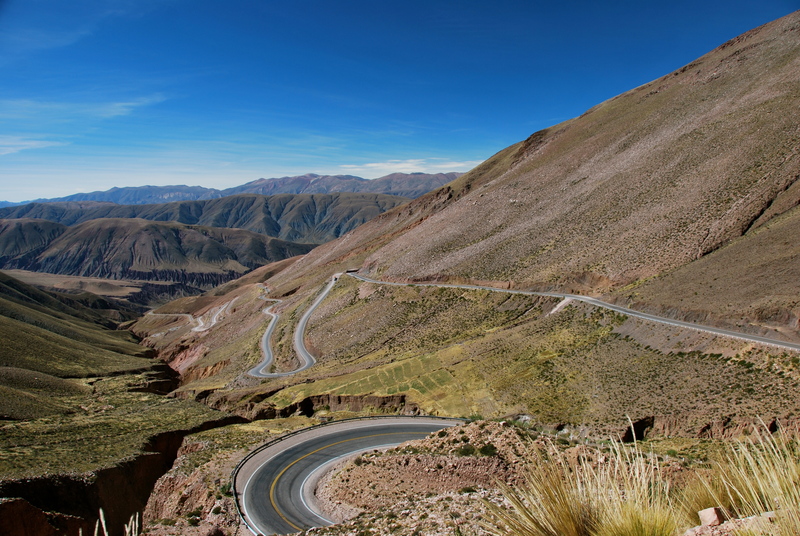 The road to the salar was crazy, and passed over 14,000 feet. Near the summit we stopped to take a picture with a baby goat. 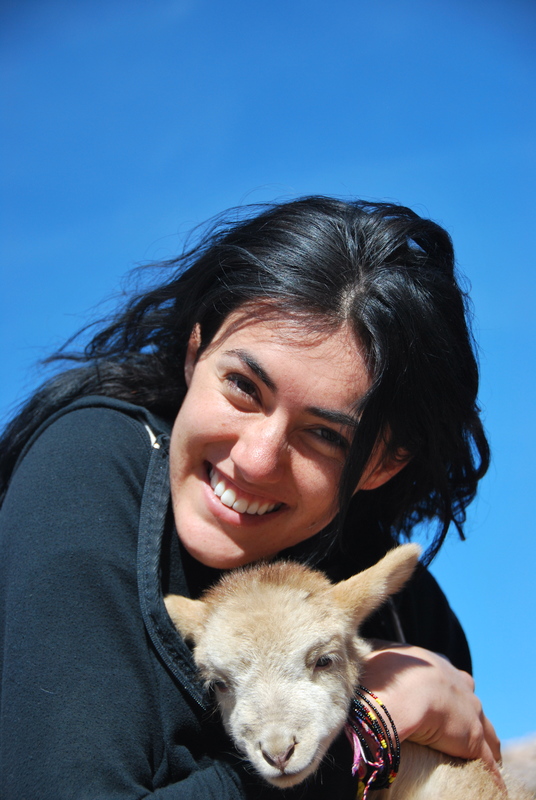 Bridget just about jumped out of the car to get when she saw the chance to bond with a baby animal. Bee and her baby. Yes, you have to give it back! We visited this area during the Argentinean Independence Day and almost ran into a problem. Seems like with all the additional people out driving the roads, they were running out of gas. The salar was a bit out-of-the-way, but Joe kept guaranteeing Kris that we would not run out of gas, even if he had some doubts himself. Lucky for us, and especially Joe, we made it there and back just fine, largely due to the fact that we coasted 30 kilometers downhill on the way home. Roller coaster road. Barf bags not included in the rental. 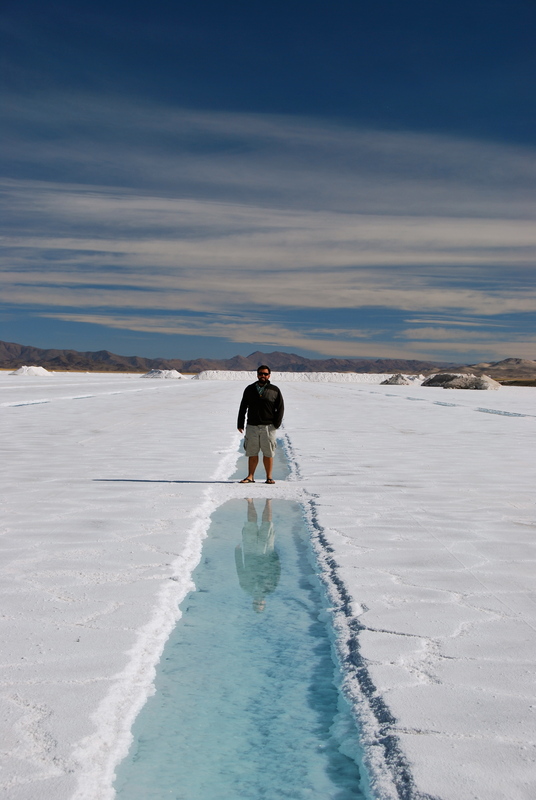 With the salt flats being dry, it is a good opportunity to take some interesting prospective shots. Joe spent a lot of time laying on the salt, trying to get just the right angle, while the girls played around. Bee going for a dip. 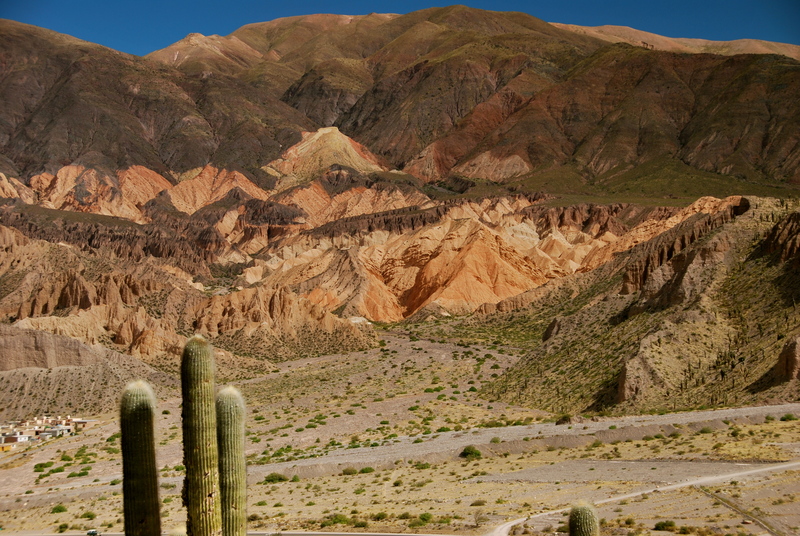 To finish off our time in Purmamarca, we took a short hike around the hills of varying hues. The colors were particularly incredible as we walked around just before sunset. 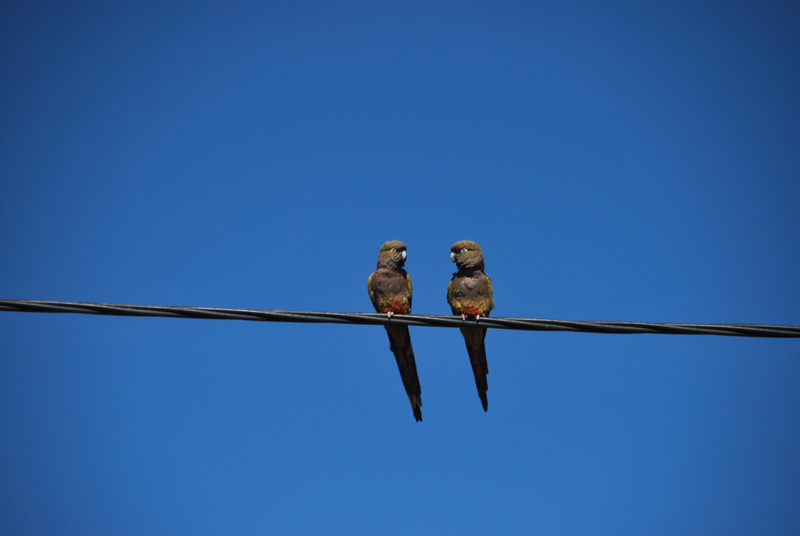 This road trip turned out to be one of the highlights while traveling with Bridget, and also while in South America. It was nice to have the flexibility to go where we wanted to, and whenever we wanted to. 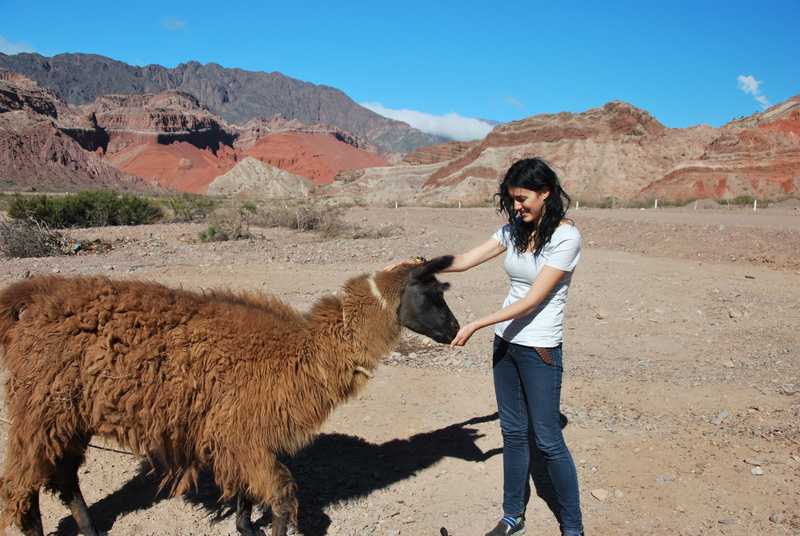 If you are ever in Argentina, make a trip up north. 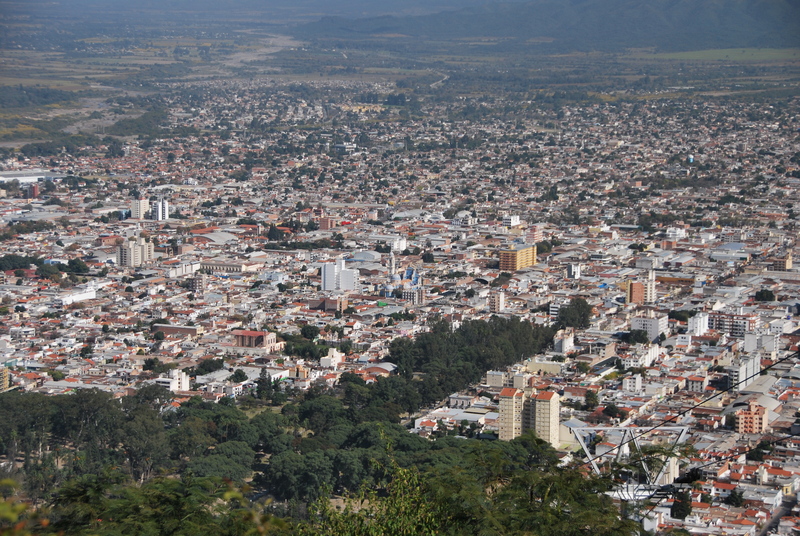 The people in this area are so friendly and the scenery is not to be missed. Okay, we couldn’t resist, just one more picture of an animal. This cute, but smelly, dog found Bridget, and nudged her for about 3 seconds before climbing onto her lap. Just one of many adorable pups that left a spot in our hearts. Coming Up: Our last stop in our South American journey, Iguazu Falls!